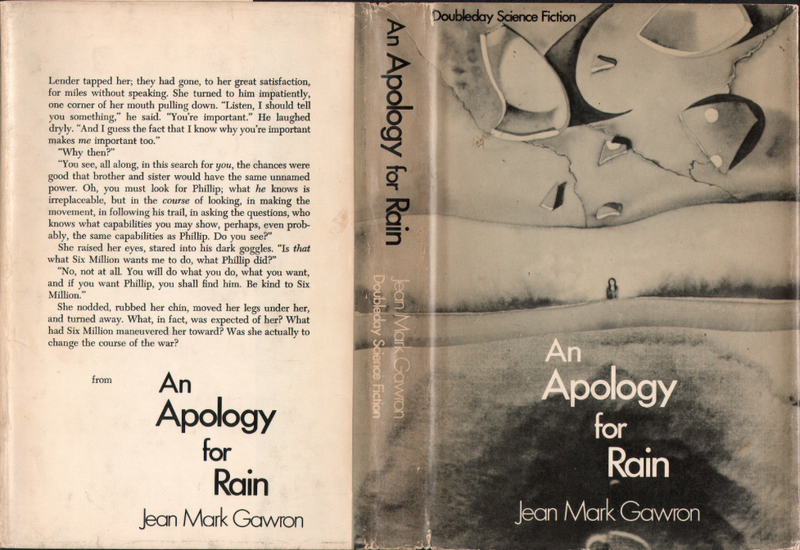 An eclectic collection of 70s SF…. 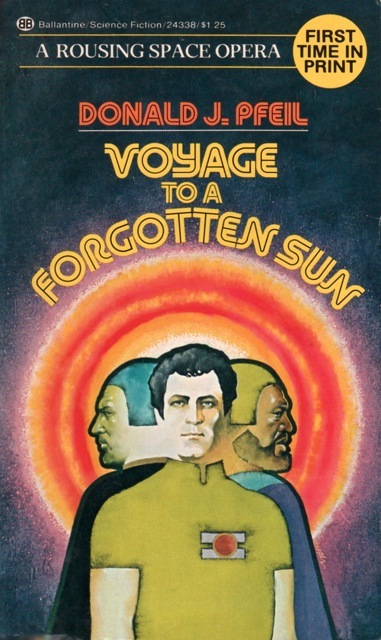 Two virtually unknown authors (Gawron + Pfeil) and two authors slightly better known by SF fans (Platt + Cowper). I’ve not been impressed with Platt in the past—for example, maybe you all remember my review for Garbage World (1966) or Planet of the Voles (1971)? But, nothing peeks my interest more than future urbanization gone amok… [2theD’s review: here]. Richard Cowper’s work intrigues but I often find it on the slight side. See my reviews of The Custodian and Other Stories (1976) and Profundus (1979). The book I procured below is considered his most famous although the premise does little to inspire…. Donald J. Pfeil wrote three novels (SF encyclopedia is somewhat dismissive of all three) and remains best known for editing the short-lived Vertex magazine: according to SF encyclopedia, “in quality [Vertex] was the strongest of the new sf magazines from the first half of the 1970s.” Unfortunately, it ran into financial problems and folded after only a few years…. Might be worth collecting! From the inside flap: “We interrupt this program to bring you… We have just confirmed a report from a trusted aide of the General that the Nanya is dead. From the back cover: “In the 21st Century, when urbanization is reaching its limits, the population suddenly slumps…. The city is killing man—strangling and crushing humanity as effectively as the jungle destroyed the civilizations of the past. —zombies, slum-dwellers, a pop star, and an architect—move like tiny insects through the vast empty steel and concrete landscape of the city. For in that bath of cosmic particles, all things changed. Not only the weather and the flora and fauna, but humanity itself received what seemed to be its death sentence. Sterility signalled [sic] the end of man, until the strange children known as the Zeta-mutants began to appear. Richard Cowper, author of CLONE and other sf novels, has produced in this new novel a gripping story of how one man coped with the terrible dilemma of his world—how he attempted to solve the problem of the girls with amber eyes and what he did when he found out what he himself had become during THE TWILIGHT OF BRIAREUS. I finished that Cowper novel last week… you’re not going to favor it. As for Gawron, I’ve actually read two of his other novels–Algorithm and Dream of Glass–both of which were hard to follow (not sure if was the author or the reader who has the problem). Never heard of Pfeil. Good find! Ah, so that Copwer novel is worse than the ones I listed? (I know you’ve read Profundis, etc). Hmm, well, that puts it on the back burner! For what it’s worth, I quite liked Twilight of Briareus and read it a couple of times back when it came out. 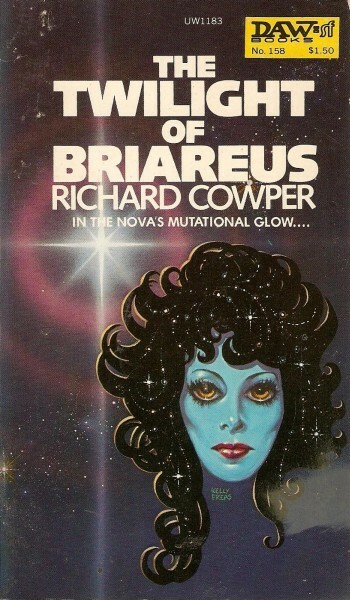 Do you think Twilight of Briaereus is Cowper’s best? Well, I kept it longer than any of his other books that I owned, except for The Road to Corlay and a short story collection! By that criteria, it’s my 2nd favourite novel, although I’ve only read half a dozen of them out of, um, 14 by that name, apparently. I’ve not read any of his Colin Middleton Murry titles. You’ll like The City Dwellers more than Garbage World (which was his first novel remember, and IIRC not up to the standard of his short fiction of the same period). I thought it quite dood but that was twenty, twenty five years ago. I might read The City Dwellers soon! As I said, I love future cities. I’ve only read the first three of his novels, and wasn’t aware of Voles, so I’ll have a look at your review and maybe pick it up. I didn’t read a lot of Platt’s work but liked most of what I did read. Garbage World was supposedly an unflattering portrait of SF fans IIRC, but minor first novel stuff at best. The City Dwellers first came to my attention off the back of the novella Lone Zone appearing in New Worlds magazine (in 1965, one of the Compact Books issues). Another chunk appeared a couple of years later (in the large size New Worlds) as The City Dwellers. If memory serves I think they are two if the books three sections, but I would really have to check. I must dig out Lone Zone and have a read if you are going to review the novel. It could be a while before I get to the novel — I tend to not make any firm plans about what I am going to read next (reading Somtow Sucharitkul’s Starship & Haiku at the moment)..
I’m a big fan of The City Dwellers and think it’s something of an unheralded classic of the UK new wave. Whatever it is I’m actually looking for when I pick up old paperbacks with trippy covers, it was certainly to be found in this one. Apart from being very readable, it feels interestingly infused with various eschatological / utopian currents of the time (eg I remember thinking that it felt informed by situationism / may ’68, although in retrospect perhaps that is a bit fanciful). It’s the only one of Platt’s I’ve read so it was a bit disappointing to see your (no doubt entirely justified) takes on Garbage World and the voles one – but I do hope you enjoy this! “situationism” – that’s piqued my interest. Have you read M John Harrison’s The Committed Men? There are roaming bands of, ahem, “situationalists” in his post apocalypse. I’m a great fan of M John Harrison, and have read almost all of his readily available fiction _except_ for The Committed Men (when I say “readily available” I mean able to be sourced via the dedicated scouring of second-hand bookshops of course). I own a copy, will have to move it into the “to read” pile! I hope my vague associations regarding The City Dwellers aren’t woefully innacurate, but I remember thinking it had a strong “under the paving stones – a beach!” feeling in certain places. I recently grabbed a copy of Harrison’s The Committed Men! It was in a recent acquisitions post. For some reason a handful were really cheap online and I took advantage of it. (they are usually quite expensive!). As for The City Dwellers, I won’t judge you if it’s bad! haha. More seriously, the theme is compelling enough that even a “bad” novel might have some good provocative ideas. Hope some day you review my work as that of an unknown and under appreciated author. You do such a good job. I read Cowper’s 1972 book Clone. It was just okay. Platt has always disappointed. I get the impression that Clone might be his worst — I enjoyed Profundis (1979) and do recommend it. 2theD at SF Potpourri also hated Clone…. But yes, I agree with your Platt assessment so far. A few years ago I gave a somewhat positive review of Clone. I liked the satire but admit my comments were more of a left handed compliment. Not sure whether or not I like it. Some beautiful moments but… It’s not very cohesive and I am not sure the jumping from narrative to narrative and year to year every chapter is somehow more effective than grouping some of the narrative chuncks together…. We shall see. Half way done. 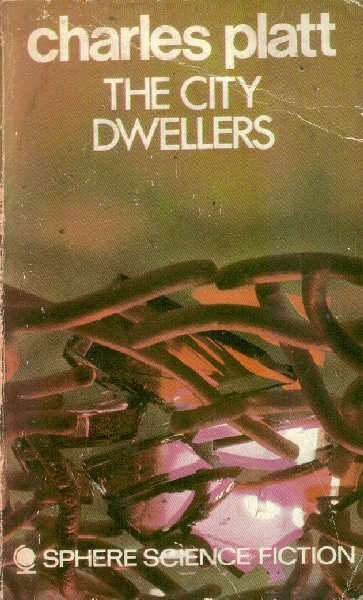 According to 2theD, ‘The City Dwellers’ was repackaged and published as a Berkley Books paperback in 1978 with the title ‘Twilight of the City’. I thought ‘Twilight of the City’ was trite and pretentious, and I gave up on it at page 83. But 2theD liked it……. What makes something pretentious? (I see this descriptor frequently in your review) I guess the issue is I can see some prose that is rather on the baroque side but somehow the author makes it work — while a hack author can imitate but produce something that smacks of pretentiousness? For example, Ballard can be heavy-handed (think High-Rise) but it works!